Make Curry Dealership Your Choice for Your Next Honda Vehicle! In the Duchess, NY, Westchester, NY, and Brewster, NY area, choosing a Honda dealership is hard. But you’ll find that Curry Honda is your top choice for care, service and attention. 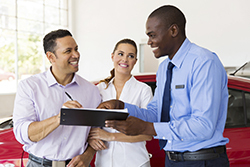 The staff here at Curry Honda will help take the stress out of your Honda buying experience. Our staff are financing experts and Honda certified technicians, and will make your Honda buying experience one that will be enjoyable, worry free and will fit your budget. Curry dealership has the best in new and certified used vehicles. We offer plenty of information and help for service and leasing your Honda, as well as the easiest and best trade-in program for Honda vehicles in the Westchester, NY area. Let our Curry Dealership Team get you behind the wheel of your dream truck or SUV today! We make sure that we take care of you from top to bottom. 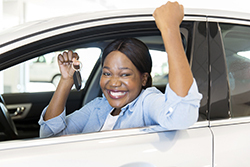 Whether it’s buying a new Honda model, to making sure that you get the best auto financing, you’ll find that our service and commitment to the customer experience beats all of our competition. You're sure to find something you love in our inventory of Curry used cars and new vehicles! 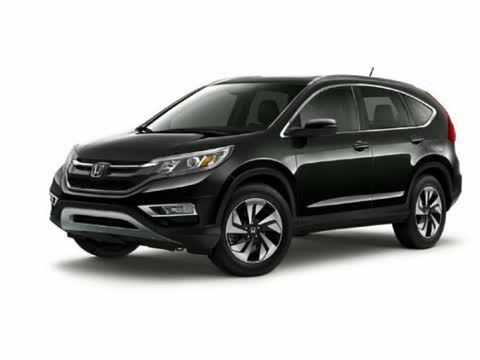 We at Curry Honda also provide much more than pre-owned or new Honda vehicles. People with Honda vehicles have access to our onsite Honda repair center and team. Our expertly trained technicians are all Honda certified. We use only Honda manufactured, certified parts. We do everything on our power to make the experience of servicing your vehicle stress free and pleasant. We’ll work with you preserve the worth of your Honda vehicle so that your investment lasts for years. Honda is the last word in quality. 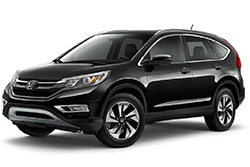 Our repair staff is made up entirely of certified Honda auto service repair specialists. Your vehicle will be serviced by the absolutely best team in the Duchess, NY region. If you’re in the Brewster, NY and Westchester, NY area, contact us to talk about a schedule of regular checkups and maintenance. We handle tire alignment, lubricants, tires, emissions testing and all other aspects of routine maintenance. We only use Honda certified parts – we have a wide variety of options and plans that can help maintain your vehicle’s value and performance for years and years. You’ll be absolutely pleased with our maintenance and service, so contact us today! 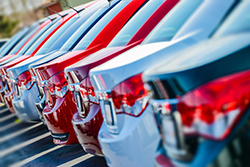 Not every certified used vehicle program is created equal. We offer several benefits that other programs just can't match, like a comprehensive process for delivering a level of accuracy, transparency, and peace of mind unmatched in the industry. If you're considering a certified used vehicle, Curry Honda is the way to go! Even though Honda is known for its long-term reliability, it's good to know that you have the extra measure of protection from us in the Westchester, NY area. If you are looking for a great deal on a quality used vehicle, consider buying or leasing a certified used vehicle from us. Our inventory includes a beautiful selection of certified used vehicles for sale or lease. These low mileage vehicles have passed rigorous testing to ensure long-term performance. Stop by today or give us a call to explore our inventory and find some of the best certified used vehicles in the Duchess NY area. New Honda vehicles: We have the best Honda vehicle selection! We have in our lot of all the new, popular models of Honda - Honda Accord, Honda Civic, Honda Odyssey, Honda Fit and other great vehicles. Get in touch with us to arrange a test drive with one of our Honda sales specialists. Certified pre-owned Honda vehicles: Our selection of pre-owned Hondas is the absolute best in the industry and in Westchester, NY. The Honda certification program demands that any pre-owned vehicles have less than 80,000 miles and are less than 6 years old-these are strict standards for all of our certified used vehicles. Our trade-in program is also the best in the area – contact us to see if your vehicle qualifies. Finally, our certified pre-owned inventory has all the best Honda models. We’ll do everything in our power to get you behind the wheel of the Honda vehicle of your choice. Our owner resources are also the best. Check out our how-to videos, our military appreciation offer program, our new owner clinic and our maintenance reminder FAQs. Don’t forget our auto parts center, eBay store and parts specials! Curry used cars are the smart choice in the Brewster, NY, Westchester, NY, and Duchess, NY area. We’re always running leasing and sales offers here at Curry Honda. Our specials on new and pre-owned vehicles, service plans, parts or anything else that has to do with Honda vehicles can’t be beat. We’re also leaders in various Honda nationwide sales events and programs, such as the $500 Honda Graduate Program. Reach out to one of our sales specialists now! Our Curry Dealership team will get you behind the Honda vehicle you’ve always dreamed about, whether you're looking at Curry used cars or brand-new vehicles. Auto loans and financing in Brewster, NY. Are you in Duchess, NY or Westchester, NY and you need help finding the best auto finance option for your new Honda? Then visit our finance center. Just fill out and submit the form and a member of our team will immediately reach out to work with you on pre-qualifying you for your new Honda vehicle. We’ll do everything in our power to create a vehicle plan that fits your budget and needs. Further, bad credit is not an issue – there are a wide range of options available. Come visit us for a test drive and speak with us, and we’ll work with you to help you find the leasing or finance agreement that is right for you. Fill out our online credit application, and we’ll contact you immediately. Our team offers the best service, sales, Honda certified parts, financing and trade in support, body shop work and repairs. We hold to the absolute highest standard of service, care and attention in all of our work. You, the customer, are the highest priority at Curry dealership. We serve the entire Duchess, NY, Westchester, NY, and Brewster, NY area. As such, we’re always on call with all concerns – questions, best practices, and all forms of support. Reach out to us and our team will contact you immediately about anything to do with buying, leasing, or servicing a Honda vehicle. We’re eager to hear from you and helping you either get behind the wheel of the Honda vehicle of your dreams or in assisting you with any aspect of Honda care and service. Call us today! used vehicles, new vehicles, service & parts, car dealership, new cars, certified pre-owned vehicles, sell your car, trade your car, body shop, body shop repairs, car repairs.